From all of the team at JAI, we would like to say a huge thank you to everyone that joined us this year and for your continued support with our weekly challenges. 2014 has been an eventful year for Just Add Ink. We've seen a few of our design team retire and also in recent days, added some new additions to the team and we are all very much looking forward to sharing with you in 2015...Keep safe and "Happy New Year" to you all! 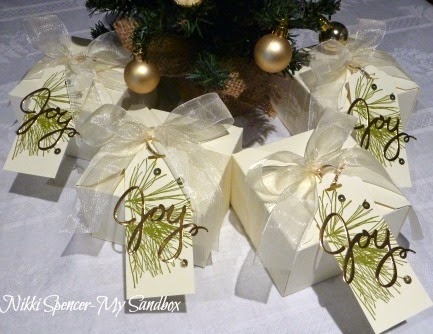 With Christmas over for another year, some of the design team, thought it would be fun to share the projects we created for gifting to loved ones and friends and we would love to have you share your gifted projects too! "This challenge will run for 2 weeks and is a non voting challenge"
The design team will be taking a short break and we will be back to kick off the 2015 creative year, on the 23rd of January. 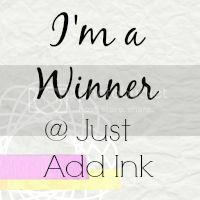 Welcome to this weeks winners post! 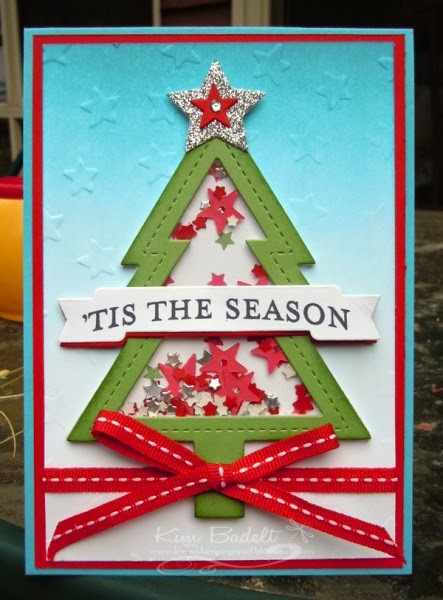 At this time of the year, Christmas is certainly a popular theme..:0) We had lot's of gorgeous Christmas projects from everyone and loved seeing how you interpreted our inspiration for this weeks challenge. Thank you all for joining us! 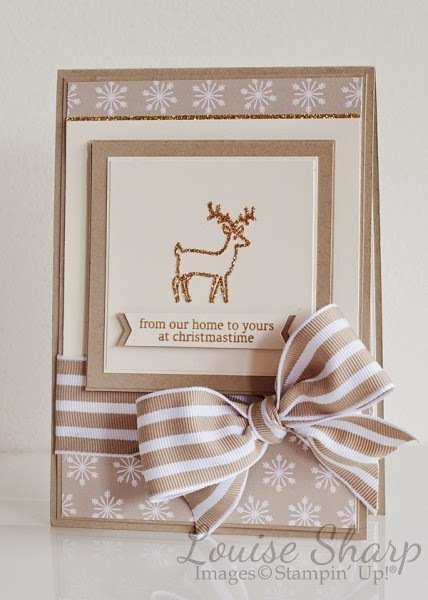 "Loved the contrast of the rustic reindeer tag with the delicate ornate background"
"Clean, elegant and rustic all in one - beautiful card"
"Lovely tag & bow detail, a great clean layered card"
"A lovely Christmas scene, with beautiful layers"
"Delightful winter scene that has real depth and the bunny is such a sweet touch"
"Sparkles add gorgeous detail to this card; just beautiful"
"The little touches of bling really dress up this charming rustic style Christmas card"
we are rapidly heading into the final days of the Christmas season. 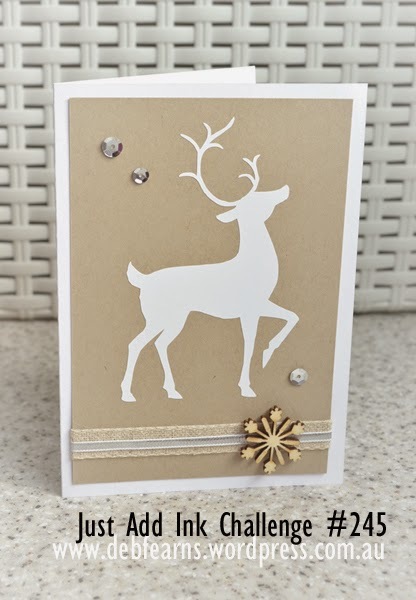 But if you still have some Christmas cards to make, or some other special occasion we have a lovely inspiration challenge for you this week from Nikki. You can pick and choose what inspires you - the colours, patterns, anything that catches your eye! A big thank you to all of you who joined us this week as we work our way through the busy lead up to Christmas! We had some great entries showcasing the fun sketch Tina came up for us this week and the team really enjoyed looking at them. 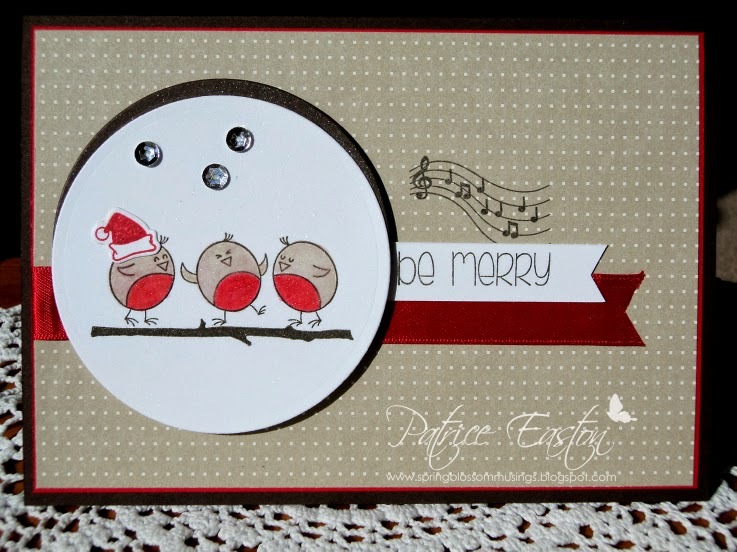 However, we could only pick one winner and this week it was Jenny with this elegant shaker card. 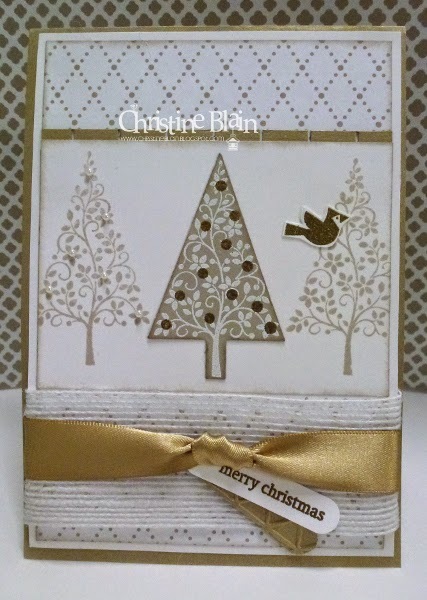 A lovely shaker style Christmas card, the navy/silver combo is stunning! A really beautiful, elegant card. 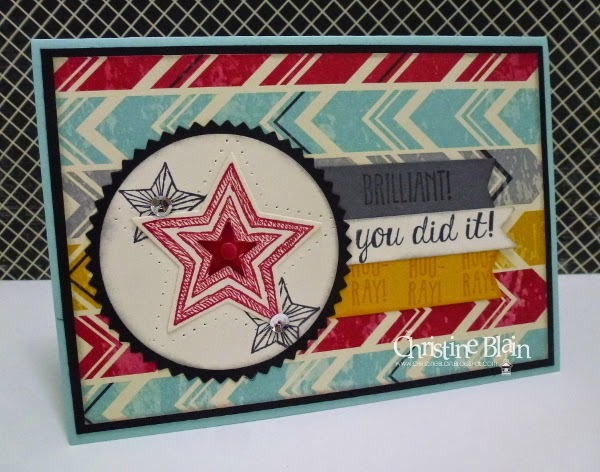 I love the colour combo, and love how the embossing on the Night of Navy flag complements the ornate pattern in the DSP. Wow! 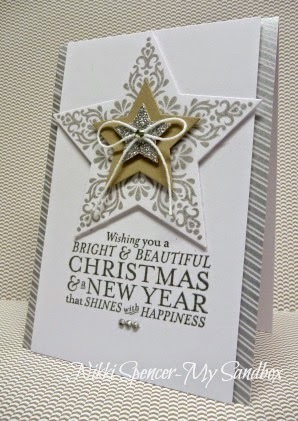 Crisp, clean elegant - a gorgeous card! Very elegant, with lovely clean lines and pretty details. Love, love, love this arty layout! Captures summer, splash and the outdoors beautifully. 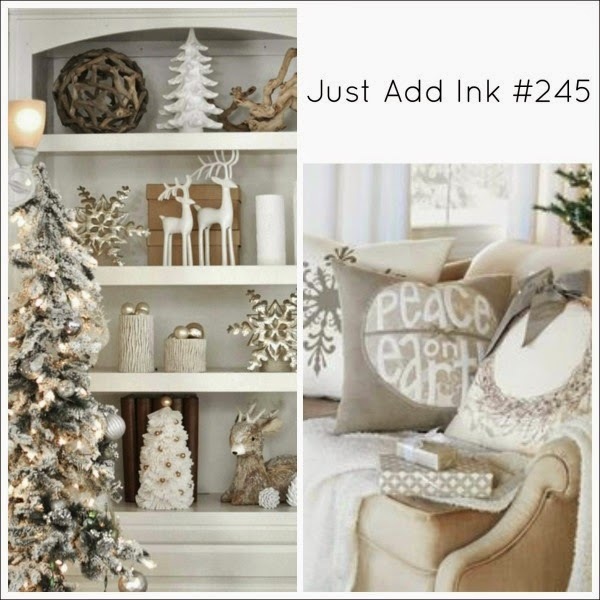 As the year end approaches, there are a few changes taking place here at Just Add Ink. We will be saying a goodbye and welcoming some new DT members. The lovely and talented Deb Fearns has been Guest Designing here at JAI for the past six months, but sadly for us and due to life commitments, she will be leaving us at the end of the year. 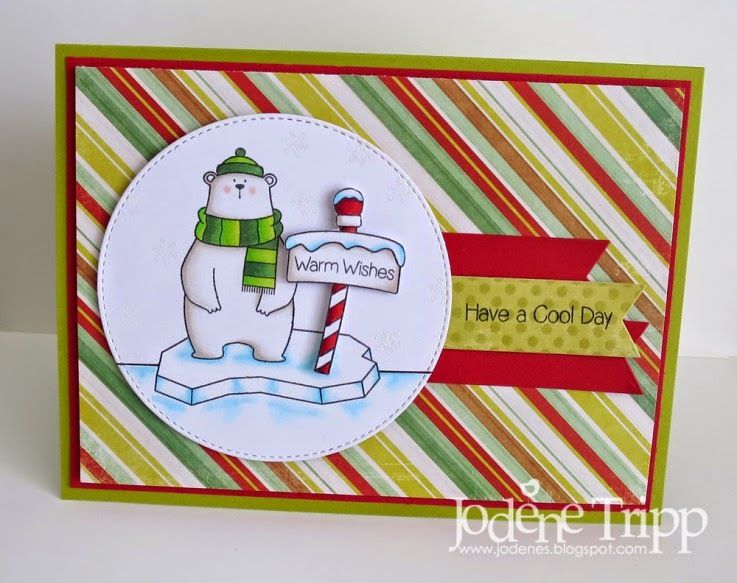 Thanks Deb, for joining the team and sharing your creative talent with the JAI family and followers. We've loved having you on the team and wish you well. So, that was the sad news! But the good news is, we have added 3 lovely ladies to the DT and they will be joining us for our first challenge in 2015. We had a fabulous response to our DT call and such a difficult time choosing only "3", but we would like to say a huge thank you to everyone that applied, we really did appreciate it! 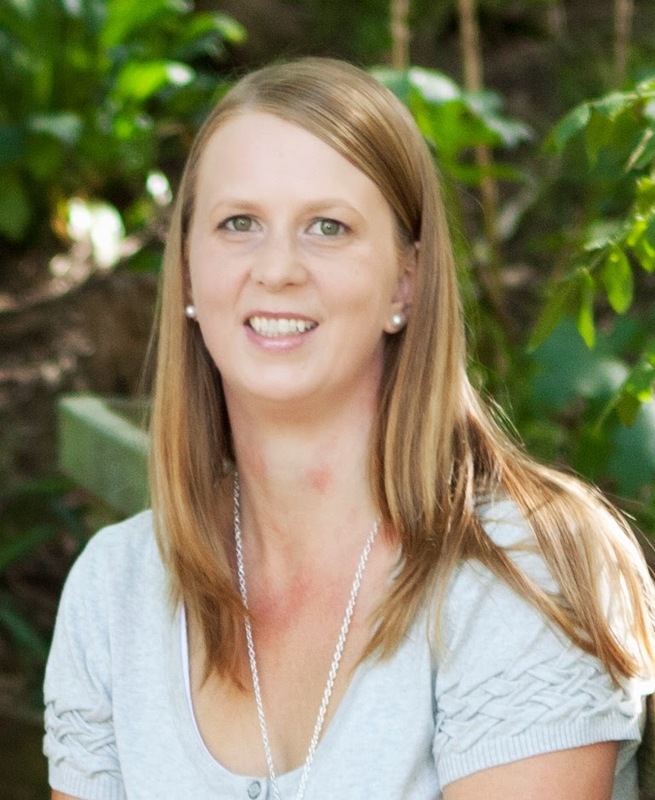 Hi everyone, my name is Shona and I'm extremely excited to be part of the Just Add Ink Design Team. I live in Blenheim, New Zealand, have two children Phoebe 9yrs and Max 8yrs, and have been married to Dave for nearly 12 years. 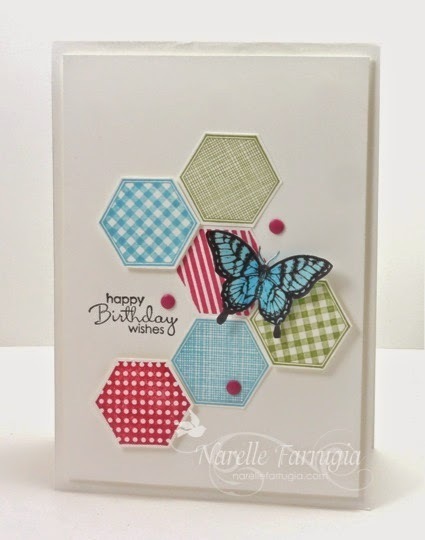 I went to a craft show in March 2013 and fell in love with washi tape, which then lead to card making. I've had my blog 'Twine Around' since September 2013 and love everything about the blogging and crafting community. I enjoy entering card challenges, which is how I discovered Just Add Ink. I'm addicted to Peanut M&M's, have two Golden Retrievers and love gardening. I'm so looking forward to joining the challenges next year with the team and seeing all your inspiring entries. I’m from the South-Eastern Suburbs in Melbourne but grew up in country Victoria, South Gippsland, on a dairy farm. So what’s the saying ‘You can take the girl out of the country but you can’t take the country out of the girl’. I love suburbia life but can very much relate wide open spaces and country living. I’ve been married now for 13 ½ years and we have 3 wonderful children, 2 beautiful boys and a gorgeous girl, ages 11, 9 and 6. 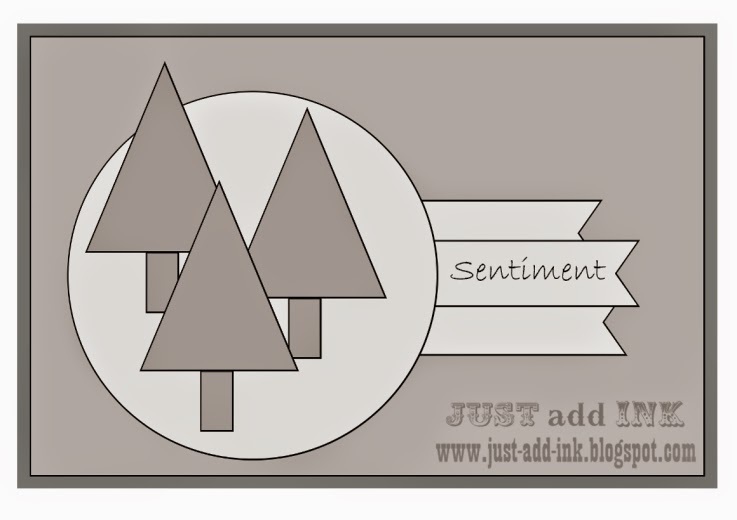 I’m a stay at home mum, work in the office of our small business and a Stampin’ Up! demonstrator. All of these things keep me busy and ‘out of trouble’ but I would have to say that my love is being an SU demonstrator and all things crafting! I’ve always been into crafting of some kind since a young age and have tried my hand at lots of different types of ‘crafts’. 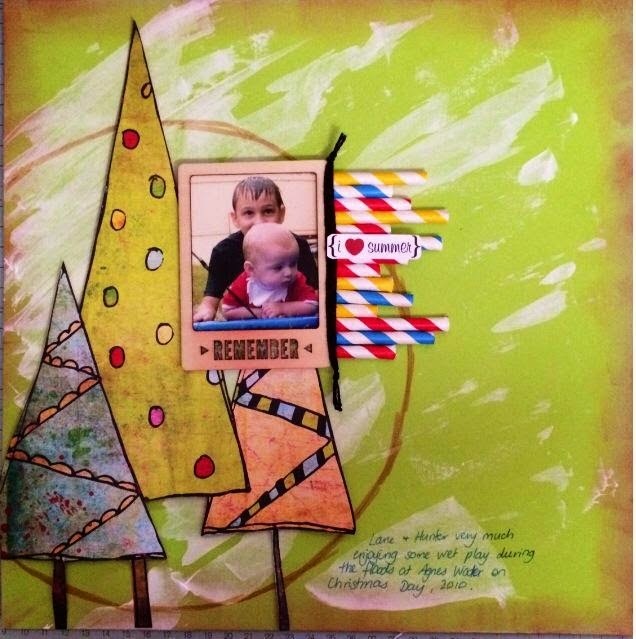 I stumbled on to scrapbooking about 12 years ago and I really love the whole memory keeping side of scrapbooking but since being a Stampin’ Up! 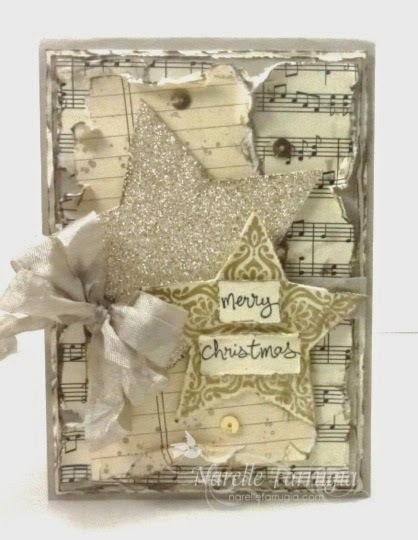 demonstrator my creative outlet has turned to more card making, stamping and that whole paper crafting side of things. 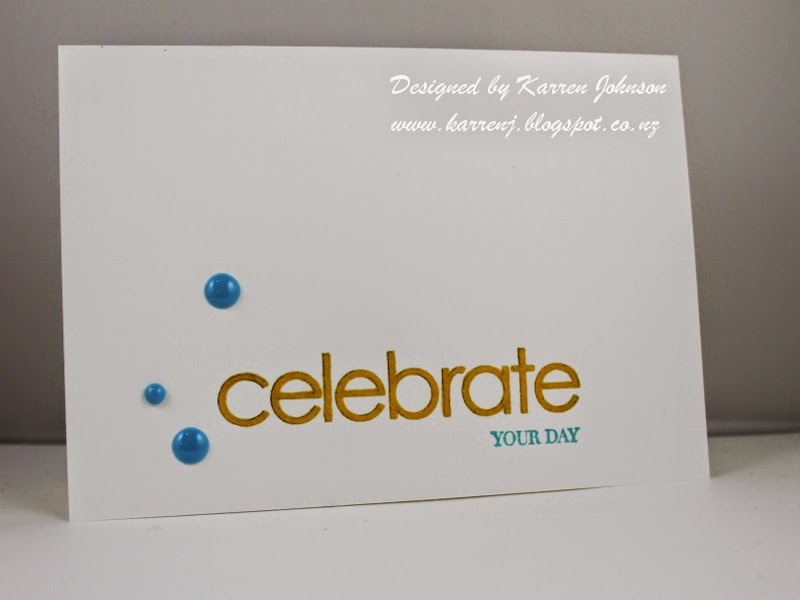 I'm Di - a stay at home Mum & Stampin’ Up! Demo from Sydney, with a love of colour & all things paper. I started scrapping in 2001 after my daughter was born, as I loved the idea of combining photos & memories with typography & pretty paper. 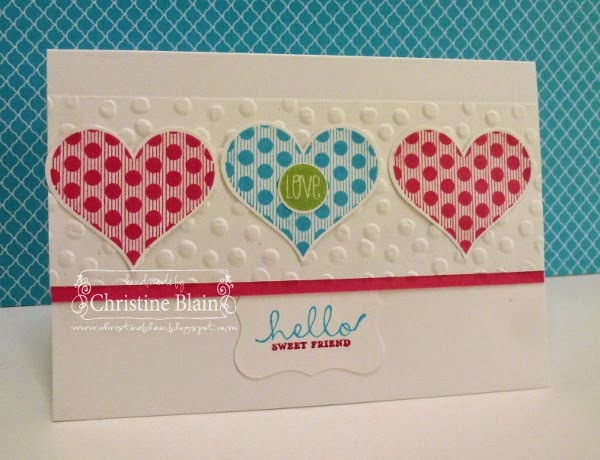 Stamping & cardmaking took over when Stampin' Up! came to Australia & I’m still obsessed today. My favourite projects generally include colour, clean lines, fancy folds or a cool box, but I’m always up for a good challenge. The JAI gals have given me so much inspiration over the years so I feel very honoured & excited to be joining the team. A big thank you to all of you who joined us this week we know it's a busy time of the year! As usual we had some fabulous entries and we really enjoyed looking at them. I'm always amazed at how different the same colour combo can be! 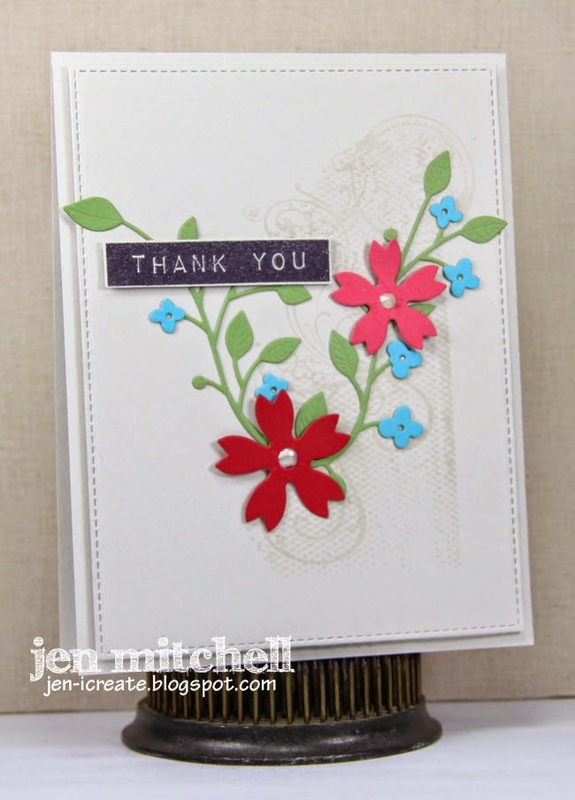 But we could only pick one winner and this week it was Jen with this delicate floral creation. 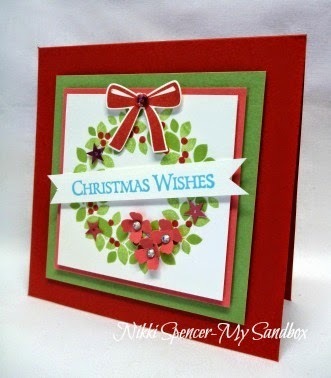 Love the small pops of the challenge colours and the clean design...Very pretty. 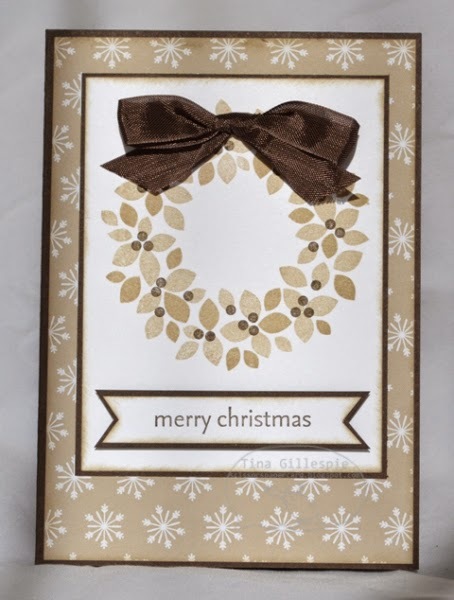 A gorgeous card! I love the delicate tendrils with the bold flowers. Absolutely gorgeous use of the challenge colours. Love this CAS card! 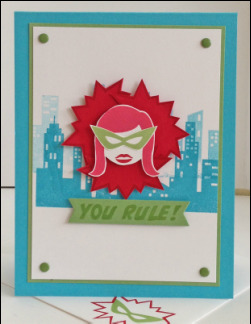 A bright fun card, that uses the colours perfectly. LOVE the pink hair! 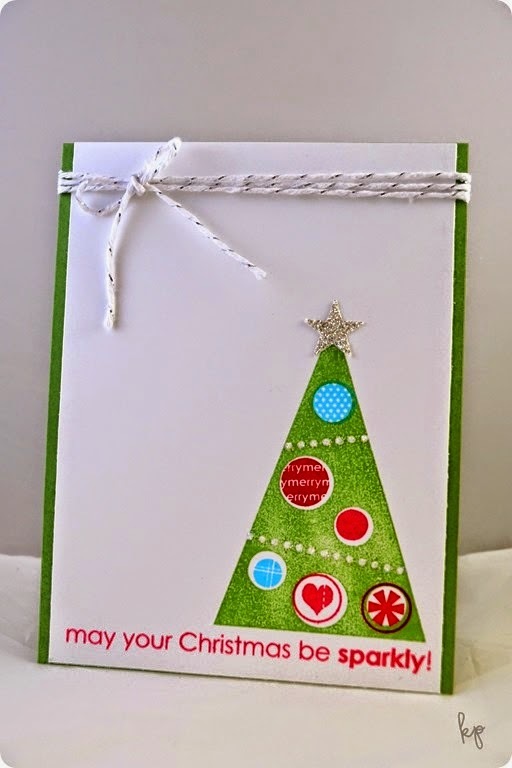 This card is sure to put a smile on the recipient's face. This is so cool! Love the super-hero theme. 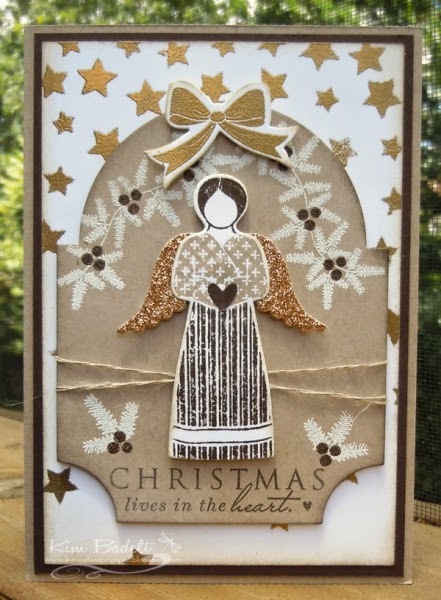 Another gorgeous CAS Christmas card that I just loved. 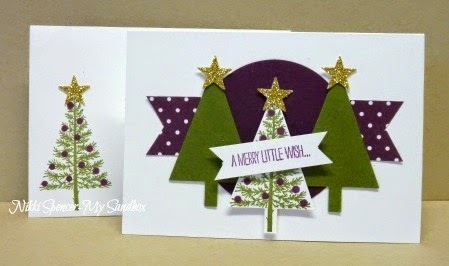 Lovely, bold, cheerful Christmas card. Such a cute, happy card. The white space is a beautiful complement to all the bold, bright elements. Thank goodness it's Friday!! 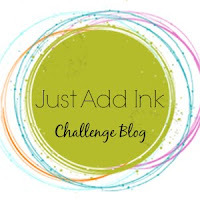 Especially as it means it's time for a new Just Add Ink challenge. 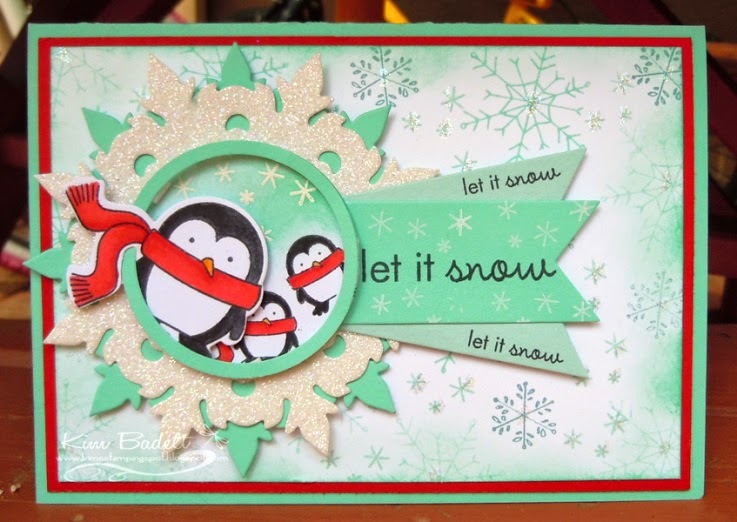 This week we have a great colour challenge for you (from me ;) It can be used for Christmas or can equally be used for so many other occasions. Just check out the DT projects below to see what I mean. Here it is. 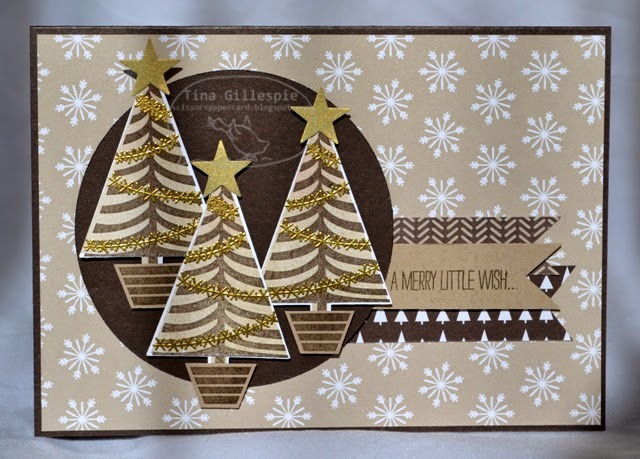 We could tell that the busy time of year is starting to kick in this week but we still had some wonderful entries inspired by our inspiration challenge. 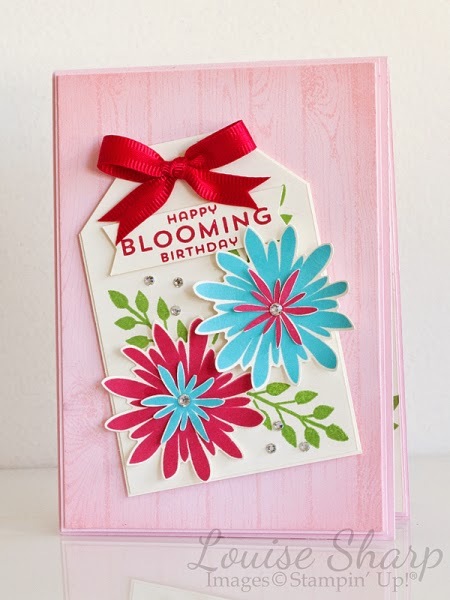 But we could only pick one winner and this week it was Toni with this beautiful textured flower brimming scrap page creation. A beautiful page, such happiness! Stunning layout, great use of texture and colour. Great use of colour and flowers on this lovely, subtly textured, layout. 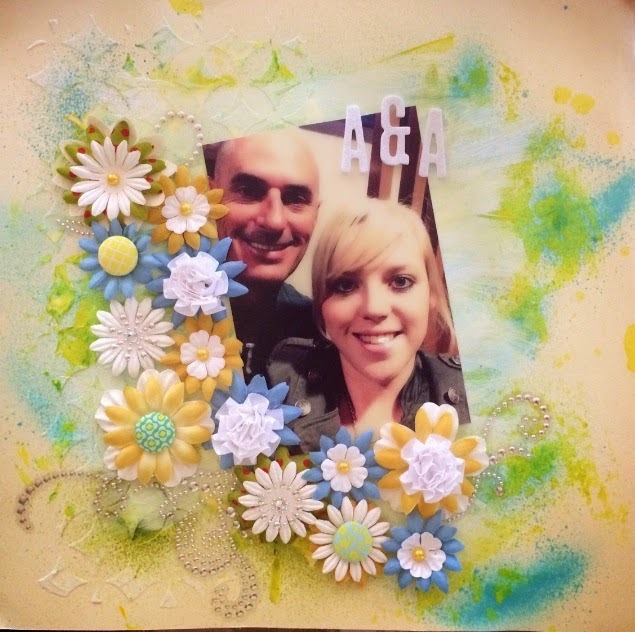 Sweet daisy and tag elements. Love the background and the gorgeous posy of flowers.